To ask other readers questions about Cobweb Bride, please sign up. Vera Lord Beltain Chidair is a young knight, in his late twenties. Digital copy received from the author. Death has stopped to collect the souls of the dying. He is searching for his Cobweb Bride and until She is found Death will no longer take souls into his Kingdom, granting life immortality. The story follows plain Percy, the sickly Infanta Claire, Knights and peasant girls who in various ways and wishes seeks out Death. The story takes place in a parallel version of Renaissance Europe, in a kingdom made up by the author that borders to France and Spain and t Digital copy received from the author. The story takes place in a parallel version of Renaissance Europe, in a kingdom made up by the author that borders to France and Spain and the like in that geographical area. I liked the book. I found it very fascinating, the language beautiful and mysterious and mythological. Details and humans lovely written, with real human emotions and greyness. The emotions felt true and the various reaction to the stop of death also. Percy specially I felt connected with - a quiet yet strong girl, often ignored but finding her strength and purpose along the journey. A good role model for younger people, I would think. Grial was also an interesting character and I had hoped to learn more about her, she feels like an important part in the story. I also liked the various relationships forming between the characters, their slow, realistic build and ambivalent feelings and uncertainty. It all felt real, which I like very much, instead of soppy romance and rushed general relationships just because. The relationships of different kinds built here felt important to the story itself, to guide it along. The story makes interesting points - is immortality as good as we think? Is death truly ghastly and horrible instead of beautiful and a reward for having lived? What some of the characters thought good with immortality proved perhaps not to be so and immortality gave side effects that one might not have thought about when wishing never to die. I really liked the style that the story was written in and the character development, and I can't wait to find out what happens in the sequel. I would recommend it for people liking strong female characters, low, realistic fantasy/magical realism. On the surface, Cobweb Bride has everything I should love in a book. 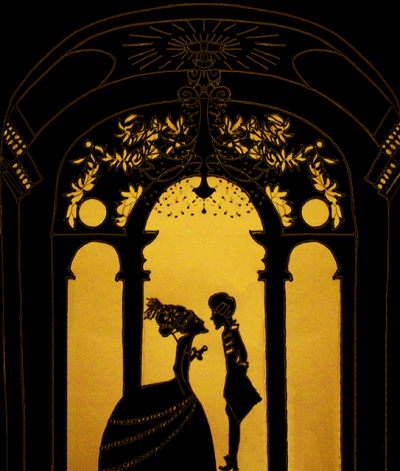 A fairytale-esque setting, the focus on ladies being awesome, Death in love with a bride. I should have loved this book. Unfortunately I didn’t. That’s not to say that it’s a bad book, because it’s not, but it could have been so much better than what it was. The first half is mostly all set up for the second half, and while that’s not usually a bad thing, the set up was meandering. There’s a lot of walking around, POV switches On the surface, Cobweb Bride has everything I should love in a book. A fairytale-esque setting, the focus on ladies being awesome, Death in love with a bride. I should have loved this book. Unfortunately I didn’t. That’s not to say that it’s a bad book, because it’s not, but it could have been so much better than what it was. The first half is mostly all set up for the second half, and while that’s not usually a bad thing, the set up was meandering. There’s a lot of walking around, POV switches to characters that will play a part in the story, and no real sense of urgency to anything despite the fact that Death has completely stopped doing his job. That being said, the second half when all the characters finally come together is the better part of the book, and it managed to keep my interest. It’s a shame there was so much time spent on the set up for the second half and the second book, because the first half really does drag the novel down. The writing itself was beautiful at first, but as the story went on it became a little unrestrained and started falling into the overwritten purple prose area. While some of the descriptions are truly beautiful, there are some that just go on forever and repeat information we already sat through (such as one character remembering how they killed another and that character didn’t die, something we’d already seen play out.) It got a little better by the end as more action was happening, but there were some passages that truly tested my patience. However, even if most of those issues had been addressed... there was one major element of the book that would have kept me from ever truly loving it, even if the rest had been the most amazing thing I’d ever read. Major spoilers under the cut. (view spoiler)[So one of the main characters, a man named Vlau, murders the daughter of the Emperor and Empress, a sickly girl called Claere. She doesn’t die, obviously, and when she asks Vlau why he killed her, he explains that the Emperor had ruined his family, killed his father on supposedly unfounded treason charges, and killed his brother as well, and left them in dishonour. It’s only lightly touched on that while Vlau’s hatrd is understandable, killing Claere was not right. And then Claere and Vlau end up falling in love, as Claere has him take her to Death’s Keep in order to become the Cobweb Bride. This literally astounded me with how horrific and offensive it was. This guy kills her in revenge for what happened to his family (something she had no part in, mind) and yet I’m supposed to approve of them falling in love with each other? Sorry, no. I don’t care that his hatred was valid. He killed a young girl just to get back at her parents for what they did to his family. Overall there are some hints of a good story in this novel, and given where we leave Percy I might be interested in reading the next book in the trilogy, Cobweb Empire. But given the issues I had, I may decide not to. I actually just slammed the hard cover shut and announced (to an empty room) "nope, not doing this". I'm sorry, Vera Nazarian, I tried. Oh the first chapter had fair intrigue, don't get me wrong. A bloody battle on a frozen lake and no one can die? Awesome! An extensive family background the second we meet the character..? We open with Death stopping death in the first chapter, now people can't die. No one's really doing anything about it, to be frank. "If-if so, then, Claere will really die! She will leave us! No, it cannot be!" I don't care if your story takes place in the 13th century or what have you, and it's true I have no way of knowing if people actually spoke like that in day-to-day conversation, but dammit it is still painful to see dialogue like that! Even if the language can't be colloquial or even vaguely modernised, make it interesting love! And while you're at it, sort out your flipping punctuation; it's embarrassing. I didn't have the stamina to go on reading. Hopefully the plot rears its head at some point, though I doubt the purple prose eases up at all. No disrespect if that's your thing, but for me any shred of plot decency is completely overshadowed by the execution. 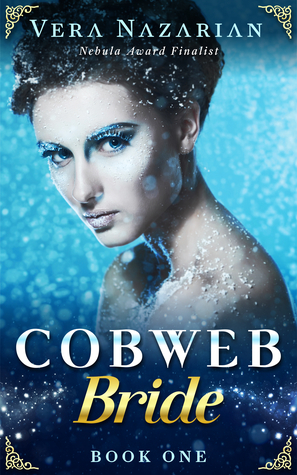 Cobweb Bride ARC provided by netgalley. "What if you killed someone and then fell in love with them?" As soon as you start reading, you know this book will be amazing.The use of language is delightful: Death's first appearance, coalescing into form out of smoke, darkness, and garlands of ice cob Cobweb Bride ARC provided by netgalley. As soon as you start reading, you know this book will be amazing.The use of language is delightful: Death's first appearance, coalescing into form out of smoke, darkness, and garlands of ice cobwebs, is so incredibly vivid and beautiful you can't help being hooked right there. There is talent here, descriptions abound, but they do not show up on the page as the usual scene building for the plot, instead, it's as if the reader's eyes can't help but being arrested by a multitude of singular details that merge to form the most illuminating pictures. The worlbuilding and characters are fantastic, but not only that, the premise of the story, while being based on the Persephone myth, is wonderfully original. Adaptations of the myth tend to focus on how Demeter's grief keeps the world from flourishing and how death soon ravages untamed. In the Cobweb Bride the dying remain in agony in their deathbeds, or bleeding from gaping wounds in the battlefields, or freezing in the murky darkness at the bottom of icy lakes - but Death will bring them no relief. Not until his bride is brought to him. In the quest to deliver Death's Cobweb Bride several stories are told: the old queen whose death rattle keeps the castle awake, the three frivolous nobles who decide to make of this quest an amusing adventure, the dead duke's son charged with capturing all potential cobweb brides from reaching their destiny so his father may stay undead, the princess and her murderer (my personal favourite subplot), and Percy and her carriage full of would-be cobweb brides. Each story is captivating in its own right, and their characters all have the same purpose: to allow the dead to truly die, for, as the book says, "to be dead is not such a bad thing when it is your time to be dead, to be relieved of pain and suffering." Cobweb Bride was better than I expected, although I honesty didn't find it to be a very memorable sort of story. Recommends it for: fans of Patricia Mckillip works and of Juliet Marillier "Heart's Blood"
He came to them in the heart of winter, asking for his Cobweb Bride. And everyone recognized Death in one way or another, just before the world was suspended. Told in a magical prose, Cobweb Bride is an magnificent tale that will appeal to fans of Patricia A. Mckillip works as well as Juliet Marillier "Heart's Blood". Set against this background, girls of all around the kingdoms start leaving their families, to embark on a dangerous quest. They will go north, searching for Death's Keep on the hopes of being his bride, and as such, ending the never ending nightmare that Death has created. YEAH, ITS THAT GOOD!! SO GO AND READ IT!! My Thoughts: The story is couched in somewhat flowery language, matching the pseudo historical, Renaissance setting. This is something that has always impressed me about Vera Nazarian. Her books cover a variety of times and places, from her parodies of Jane Eyre to her far-future science fiction, to her complex and beautiful world-building in her fables, and she changes her style and language to match accordingly. In this instance, she has switched styles into a beautifully lyrical and almost poetic style, and it works beautifully. The food situation seems to me to be a bit of a logic fail. I can't quite grasp how one cannot cook anything; after all, isn't lobster thrown in the pot live traditionally? And if absolutely nothing dies, it would do truly disturbing things to hair and skin and fingernails, among other things. How about germs and viruses? How about the small, microscopic creatures in the air? I can't be the only person to whom this doesn't make sense. It reminded me of her far-future story in which humans have evolved to be more efficient on a desert planet by losing all their hair... including their eyelashes. That still doesn't make sense to me, although the author insists it is based upon scientific principles. I guess, as Joss Whedon would say, it's phlebotinum. Much of this story is very profound, especially some of the conversations with Death. I found this of particular interest. This is slated to be a trilogy. Book two is to be called Cobweb Empire and I, for one, definitely plan to read it. This book will not be for everyone. There is little action, few “events”; it is, instead, about the journey, and about the thoughts and identities of some of those who are sharing that journey. I do not know what the future will hold for those involved in this particular journey, but if you enjoy a story that isn't all flash and bang and sword fights, this book might appeal to you. Disclosure: I received an ARC copy of this e-book from the author in exchange for an honest review. I later noticed it was available on NetGalley and accepted that to provide another place to post my review. All opinions are my own. Synopsis: Many are called... She alone can save the world and become Death's bride. For the first 60% i would give maybe 3 stars ,maybe even less as i was quite annoyed with how slow everything develops,there was not even a hint of love and i almost thought this leads no where. O yes there was a lot of blood ,severed limps,people horribly mutilated (view spoiler)[and yet unable to die> .That's ok if you was picking this book because you like to read the horror genre..but if not,then you will be annoyed like me..where is the love damn it?? So if you expecting some kind of a romantic retelling of the Persephone myth ,know that you are not going to find any of it in the long prelude..(the first 60% that i mentioned). But then,everything suddenly speeds up and things start unraveling gorgeous ! After you cross a bit more then half of the book ,you will not be able to put it down! For this part i would give the book 5 stars! And then again there is the ending-no closure at all!...It almost shows i was right when i said that this is leading no where...So all in all,the whole book nr.1 feels more like a long prologue then an actually first sequel of the announced (of course)trilogy. I am definitely going to read the sequel when ever it comes out..as the story was intriguing enough to make me curious what will happen next .I just hope everything will be happening a bit faster. I do recommend this book,but maybe it is better to wait for all the sequels to come out..
What if Death stopped collecting the mortally wounded, the aged whose time has come, the sick, anyone or anything intended to die? Think about it, death ceases to happen, period. Now, travel back in time to the era of knights and feudal lords, peasants and kings. Make it an alternate reality, in an imaginary place in Europe called the Kingdom of Lethe, and you have the makings of an epic fantasy rich in detail that will take you along on its journey. Death is looking for the one soul that has be What if Death stopped collecting the mortally wounded, the aged whose time has come, the sick, anyone or anything intended to die? Think about it, death ceases to happen, period. Now, travel back in time to the era of knights and feudal lords, peasants and kings. Make it an alternate reality, in an imaginary place in Europe called the Kingdom of Lethe, and you have the makings of an epic fantasy rich in detail that will take you along on its journey. Death is looking for the one soul that has been denied him, his bride, and until he finds her, he refuses to allow death to happen. Cobweb Bride by Vera Nazarian will paint the scenes, mold the characters and allow you to fall into place beside them on their arduous journey to present a suitable bride to an entity feared, but necessary. The central focus is on Percy, the plain, middle daughter who has volunteered to offer herself to Death as his bride, to honor her grandmother’s wish to be released from life. She has seen what no one else has, the dark haze of death lingering in waiting, watching and prolonging life. Undead armies are rising up, undead rulers attempt to thwart the young women who have been forced to offer themselves to Death. A young princess should be dead, killed by an enraged warrior, but she too travels with Percy and a small group of brave girls, each unique, each rising above fear, as they search for Death’s realm. Building this world, Ms. Nazarian has spared no detail. The sights, the sounds, the feel of coarse cloth on one’s skin, not to mention the bitter cold, the brutal darkness of the deep forest and hunger all became part of MY world as I was lost in this tale. You will not find a fast-paced plot, the action will not fly off the page, but the characters will become people you know and respect. As the first book in a planned trilogy, the search has only begun, but the stage has been set, the characters are in place and the dark intrigue is like a magnet! I’m putting books 2 & 3 on my MUST read list. 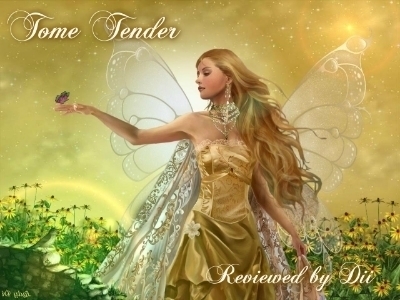 An ARC edition was provided by NetGalley and Norilana Books in exchange for my honest review. Enchanting take on the Persephone myth with a bit of Snow Maiden legend thrown in. Bit slow to start--not a bad thing as the author was setting up the story and introducing the main characters. Death has halted the death of all creatures, animal, human, and vegetable, until he receives his Cobweb Bride. Set in a late medieval/Renaissance world with a bit of 18th century, there are three subplots: presentation to Death of girls led by Persephone, the middle daughter of a peasant family; a Crown P Enchanting take on the Persephone myth with a bit of Snow Maiden legend thrown in. Bit slow to start--not a bad thing as the author was setting up the story and introducing the main characters. Death has halted the death of all creatures, animal, human, and vegetable, until he receives his Cobweb Bride. Set in a late medieval/Renaissance world with a bit of 18th century, there are three subplots: presentation to Death of girls led by Persephone, the middle daughter of a peasant family; a Crown Princess; that of the Infanta Claere, now hovering between life and complete death, assassinated by Marquis Vlau, who hates her family for perceived wrongs; and that of a Black Knight, Beltain, on orders of his father a Duke, also in this twilight state, is charged with stopping any contenders for Death's hand. The father wishes to preserve this status quo. Well written fantasy! I will be reading the next in the series. Digital copy received from the author in exchange for an honest review. I had a really hard time with Cobweb Bride, for starters I fell in love with the blurb completely, and I was so exciting to review this book. Then I started to read it, and it wasn’t what I’d been looking for… well it was kind of boring and the worst part was I had to pay attention very carefully to understand and follow what is happening (maybe this was a problem Digital copy received from the author in exchange for an honest review. I had a really hard time with Cobweb Bride, for starters I fell in love with the blurb completely, and I was so exciting to review this book. Then I started to read it, and it wasn’t what I’d been looking for… well it was kind of boring and the worst part was I had to pay attention very carefully to understand and follow what is happening (maybe this was a problem because I’m not a native English and the language of this challenged me). After a while I started to adapt to the archaic writing style but I still couldn’t get why are there so many storylines… there were four or sometimes even five in the same time which was quite confusing, I didn’t see how these would connect in the end. BUT I have to congratulate Vera Nazarian because she did it! She made a very interesting story out of a weak start and she made all the characters come together without making it unbelievable. As I mentioned the book starts slowly but considering that this is the first novel in this trilogy I think it’s main purpose was to gave us an insight into this new world and introduce us to the characters. This book is written with difficult language that won’t be suitable for everyone, but if you are interested in the story and wouldn’t be disappointed if there aren't a lot of action at first, don’t give up on reading it because you’ll definitely get used to the writing style, I did and my English is far from being perfect. The author gives us a lot of characters right at the very beginning which was quite overwhelming but as I kept reading these characters and their lives met at some point and then there were very few problems with this novel. I have an advice for those who’d like to start this book: keep track on the characters, write down all the names with just two words beside them to remember everyone because sometimes it will get messy as hell (when we met Grial the second time, I didn’t remember her, I realized who she was later when I was searching for a part in the book). There wasn’t "real" romance but everyone can probably guess all the future couples even without reading the blurb of the second one (I want them to be together, like right now *-*). In a lot and lot of stories I miss the romance so much but while reading Cobweb Bride I didn’t even think about it, I just enjoyed all the action and stranger than strange things, okay not at the beginning but still it’s a major thing for me to like a story without love. They were well-made in so many levels but most of the time I couldn’t relate to them and they didn’t get near to my favorite characters from other books, hope this will change in the sequel. I’ll try to start with characters who were the most important in their own storyline. Percy: Since the beginning of the book it’s obvious how she deeply cares about others, be her grandmother or a random girl from town, and would sacrifice herself for the good. Most people would be angry or depressed if their mother would rather send them than their sister, not Percy, she takes the place of her sisters willingly without complaining. Even if she is very quiet there’s something in her personality what makes her somehow more charismatic than the others. She suffered a great deal in life but she never whined about anything… not when she had to leave her loving father nor when she had to fight for survival or when she had to put up with Jenna. Everything considered she was an amazing heroine who made sacrifices in the name of saving others. Beltain: At first I didn’t like him he seemed like a coward who’d rather follow orders than choose the hard path and make his own decisions. After a while his character grew on me, of course he did so many things badly but that was because he was taught to follow his father’s, his leader’s orders even if they weren’t noble. He sworn to his father and he wasn’t a man who’d break that oath easily so he did what he must but he never meant any harm by it. Claere, the Infanta: When I first saw into her pathetic, little life I immediately felt sorry for her. She seemed so fragile and because she was brought up in a shelter, lived nearly always in her room she was naïve, too. After what happened to her she broke out and started to choose her own path in life, being the most ridiculous thing I’ve ever read or not, I respect her for this. She made this decision because she thought she has to do ii to save other people. Come on… you have to like her, what kind of girl would have exposes herself of so much suffering in order to save other nameless people? I don’t even has to say what a royalty she was, in her place what are the chances of such a sacrifice? You say she didn’t have anything to sacrifice, maybe but than what about all the things she knew she'd have to go through, hmm? Duke Hoarfrost: I wish I couldn’t get why he did all those things but I kind of can. I liked his character because even if he was the villain of this story he was quite ordinary if you take a closer look. He got a deadly stab from a man who should have been dead… he thought he would die and that would be it… but life or more like Death had other plans so he stayed alive. Imagine dying and then getting a “second chance” you wouldn’t want to let it go, would you? I suppose he was used to getting what he wants so it must sounded unbelieve to him that he could loose this new life that easily as he got it. This is why he did anything to keep himself alive, I'm not saying he isn't wicked, because damn he is, I just see his reasons. Vlau: Again, a totally and utterly relatable character, he did a terrible thing but he did it because this was the only way he saw to respect his father and elder brother. After, when everything got complicated and he was on his way to North with the others I started to really like him, he was so amazing as he tried to take care of (…) and did a pretty good job so far. Grial: I couldn’t quite figure out her character yet, I hope in the next book I can. At our first encounter with her she was really obnoxious… the whole send girls to become cobweb brides was her idea in the first place. Then she came into the picture again, and provided everything what was needed… she really was kind, too kind if you ask me so I’m rather suspicious of her, but everything will be figured in the next book. I have one last problem with the book, which is the cover. If I would browse through Godreads and see this cover I’d never click on it. I know you can’t judge a book by it’s cover but like it or not, if there are a lot of books before me I’d first check out the one with the more impressing cover. I’d recommend it to those who are looking for a mythology book where the story builds up slowly but when the picture becomes clear you'll see everything in another perspective. Do not read this if you're just looking for a sweet romance or are afraid of blood. Will I continue this series? A copy of this book was provided to me by the publisher in exchange for an honest review and as part of the Fiction Addiction blog tour. No compensation was given or taken to alter this review. Cobweb Bride is one of the best fantasy books I've read all year. Yeah, you read that right. I knew from the second I read the blurb and saw the cover that I had to read this book. It just sounded so unique. I keep coming back to that word when reflecting upon the story. Unique. Like many hugely imagi A copy of this book was provided to me by the publisher in exchange for an honest review and as part of the Fiction Addiction blog tour. No compensation was given or taken to alter this review. Like many hugely imaginative fantasy novels, theres a lot to explain and a lot to establish in the first half of the book. There were a lot of names, places, and things to remember. I think that's why the first half took longer to get through. It was really interesting, it just sometimes felt like a lot to remember because we were following different people in different areas of the realm. The realm was a fictitious country wedged in between Spain, France and Germany. Without even glancing at the map on the first page-- you'll be able to gather this. The names, styles, titles, and mannerisms reek of European Renaissance. I had it's own unique twist though, and truly did feel like another country. Actually, it may be more correct to say it felt like a European country in a parallel universe. Sounds super cool-- doesn't it? Well, thats because it is. You'd think that perhaps it'd be difficult to invent a new European country without making it seem like a replica or just an amalgam of euro cultures. I don't know how the author accomplished it, but she did. There was just the perfect amount of familiarity mixed with a completely new feel to the world. I loved it. Like I mentioned before, it was hard at first to keep up with all the different characters and their relationships with one another. But about 1/3 of the way in I felt completely invested in not only the story but the characters as well. My favorite was Percy; although I also loved Claere and Vlau, oh and the Black Knight. But more on his royal hotness later. The fact is, there were many different relationships in the book and I cared about every single one of them. Very important, for me anyway. If I deeply care for the characters in a novel-- its safe to say I loved it. There were two couples, in particular that I was (and still am) exceedingly anxious for. I want to see what happens and I want them to be together! For a book with this many characters; it was so natural and easy to feel so attached and protective of each of them. Another one of my favorite things, besides the world building and characters, was the writing. The prose was absolutely beautiful. There were so many sentences I highlighted just because they were perfection. The prose was full of imagery to the point that you can easily forget you're reading at all. Does that ever happen to you; you're so engrossed in the book that you don't realize you're reading because you feel as if you're actually witnessing/living the events? I'm sure there's a name for it....great writing? Whatever it is, I love when that happens and Nazarian made it happen, baby. Oh yeah, I said I'd come back to discussing my literary boyfriend, erm..i mean, The Black Knight. Ok I admit it; something happened these past few days while I was reading this book. I found a new crush. I know, I know, I should be a little embarrassed. I mean, were just from different worlds. *snort* anyway, the Duke of Hotness Smoldertown was a really fun character to read about. He's hot, like...hellooo you can snuggle next to me every night (when you read the book you'll get it). *fans self* ok, sorry, I just had to warn you ladies that he's MINE (although I'll share him with Persephone, but that's it!). Claere kinda freaked me out. Don't get me wrong I adore her; especially at first. But with the other girls she just got kinda weird. I love her and her man though. I mean, how messed up was that? The concept of falling in love with the person who killed you. (It's in the blurb, so I didn't allude to a spoiler). In a way it makes sense, killing is a very intimate act. It's definitely not the first time I've heard this idea that the act of killing creates a bond (Anne Rice/Lestat, Harry Potter, etc). However unique to this story is the fact that's it's a romantic bond; despite the individuals trying to deny this tie/desire. I actually really loved this idea and it's one of my favorite things about the book. I don't want to say more about it, because I feel like unless you're reading the story it's gonna sound really messed up and repulsive. By the end, though, you may just be rooting for a murderer. This novel is the first in an epic series, but unlike most epics, it is not about knights in shining armor (though there are knights), or kings, queens, and nobility (though those are present as well) but rather it is the tale of an overlooked, homely peasant girl who finds her place in the bigger scheme of things. The Cobweb Bride starts, like many of the great tales, with an Event (capital E required). The beginning may feel slow to those of us used to the modern format of jumping into the story and struggling to keep up, and I’ll admit to having trouble with the broad cast introduced as an aspect of the Event at first. However, every person you meet in the beginning has an important role to play, no matter how small. It might take a bit for the lines that link each piece to become clear, much like how a spider builds a web one thread at a time, but once enough of the structure is visible, it’s too late. You’re caught in the web of this story. The Event is simple: Death informs one group he will no longer collect souls until his cobweb bride is brought to him. And all dying, no matter how grievous the injury or illness, ends. Vera Nazarian offers a complex, deep look at how people respond to both death and duty. She gets into the true nature of humanity in all its grace and flaws by focusing on the little events that come to pass because of the Event. Cobweb Bride is the story of Percy (full name Persephone) and how she discovers her own value despite being raised by a mother who had married down and two sisters who are all that is beautiful. Hers is the main thread, and Percy the main character, but running in parallel are tales of loyalty, trust, greed, obsession, hope, and hatred to name a few, each given a face and a reason. Some books are fun reads but nothing more. Cobweb Bride might start in a style unfamiliar to most, but once it catches hold, you’re thrown into a kaleidoscope of people and events, some frozen for a twist of the barrel so you can appreciate the pageantry and some savored in all their brilliant colors and amazing patterns. Why yes, this story throws me into metaphors. It’s that kind of tale, with that level of complexity. At the same time, the actual writing is most times clean and clear, with occasional forays into heavier description than I prefer which is not to say it’s poorly written, and there’s no confusion as to what is happening or why. Cobweb Bride is a novel full of questions and answers, full of characters wanting to understand, wanting to know. This is not a story in which people are pushed along by events (little e) against their will, though there’s an aspect of that. It is a story where even in the face of no options, choices are found and decisions made. A touch of Russian folklore, an opening style that isn’t even listed in the Point of View catalog, and a huge cast of characters (which narrows down past the opening to a smaller number of key characters). These are the elements that make Cobweb Bride different than most epic fantasy I’ve read, and these, along with characters who each have a compelling reason for the actions they take, are what make Cobweb Bride such a good read. And if you’re worried about predictability, don’t be. While nothing felt like it came out of nowhere once it had happened, there were several times where I’d predicted a path based on my understanding of events and the traditions of the format only to have the story twist aside at the end with something even more compelling and no less true to what came before. I read Cobweb Bride as a NetGalley ARC in return for an honest review, which means it hadn’t gone through final edits. There were some typos and like that I hope are fixed in the final version, but even that did not disrupt my enjoyment of this title, which is saying something because those things bug me. This was an exceptional fantasy book. I have just finished it and am now starting with the second in the series, If i could give it more than 5 stars I would. Basically Death has stopped allowing people to pass to the other side, so they are neither dead nor alive, the Emperor asks all Maidens to go to Deaths Keep as he wants to find a cobweb bride, that is all I will say as I do not want to give any more away. This story was AWESOME in soooo many ways. But the weird part is, as much as I wanted to read this initially, it took me FOREVER to finally start reading it. As in... months. Why did it take me so damn long to pick this up?? In what feels like ages ago, I read the description for this novel. Not even sure how I came across it, to be honest with you. I was certainly very intrigued. Death wants a wife, and until he gets one, nothing can die (regardless of their current physical state – ya… think about it… highly disturbing possibilities here!). Anyway… what’s not to like?? So when I got the opportunity to get this through Netgalley, I was so very much excited! I promptly downloaded the novel onto my tablet… where it remained for months….. And why do you ask? I know… I know… How very shallow of me. Finally, one day I thought… I’ve had this for a while, let me start it to see how it is… and I.could.not.put.this.down. Fantastic plot flow and character development. A few storylines going on parallel to each other, before our main characters come together at last to continue the story/quest, but it flows so well, it's seamless, and not at all confusing. Think about it. You are off in a war and get pelted with arrows, or sword through the belly… Can’t die! Butchered pig, chicken or turkey… Can’t die! Gross and disturbing I tell ya! The imagery was absolutely awful… and you can’t help but hope that Death finds/chooses his bride, so that everything can be put right again, for the sake of all living things in limbo. If this novel doesn’t give you nightmares, it sure will keep your interest and on the edge of your seat. This was EXCELLENT storytelling and I am really looking forward to continuing the story into the next book. I certainly will not be waiting very long before opening that one up though. THAT is a promise!! Cobweb Bride with theme about Death looking for a bride and the fact that main heroine is called Persephone fooled me into thinking it will be a retelling of a famous greek myth about Persephone and Hades. But Vera Nazarian didn't do this, instead she created a different and completely unique story. Set in an imaginary European country, Cobweb Bride takes place during Renaissance, one of my favorite historical periods. There will be glittering courts and their intrigues, intricate wigs and fashio Cobweb Bride with theme about Death looking for a bride and the fact that main heroine is called Persephone fooled me into thinking it will be a retelling of a famous greek myth about Persephone and Hades. But Vera Nazarian didn't do this, instead she created a different and completely unique story. Set in an imaginary European country, Cobweb Bride takes place during Renaissance, one of my favorite historical periods. There will be glittering courts and their intrigues, intricate wigs and fashion, but also we will get a glimpse of how the poor lived in this time, because the heroes of Cobweb Bride are from different social groups. As I already said, Cobweb Bride is about a peculiar subject. Death appears and declares that there will be no more dying until his cobweb bride arrives to his home in Northern Forest. A lot of horrible things happen because nobody can't die: mutilated soldiers in battles never get relief, old sick people are endlessly tortured by disease, even animal can not be killed anymore... The plot of the book unravels slowly. Vera Nazarian does not want to miss anything and in great detail shows us how absence of death influences all spheres of life and of course different reactions of people. This is one of those times when it's better if you skip reading the book summary, because they wrote all events from the first part of Cobweb Bride Trilogy. So if you have read the summary, you might feel that the book ended without much happening or that it was boring. Since I skip reading book summaries exactly for the reason of not spoiling something, I didn't have this problem. I enjoyed reading Cobweb Bride, although it was slow at times. I liked that Persephone aka. Percy is ordinary girl and not some awesome beauty and I enjoyed reading about her adventures. I expected much more romance because Cobweb Bride is advertised as fantasy romance, but the love story is very subtle and starts developing only at the end of the book. If you like reading about realistic heroines, alternate history, noble knights and quests, then Vera Nazarian wrote a perfect book for you. If you are looking for a classic retelling of Hades and Persephone myth or a lot of romance, you might be disappointed. A breathless perspective on the undead. It was a unique read to have the reaper, or under god , or Death with a capital D, suspend taking souls to the other world. His request was simply that it will not resume until his Cobweb Bride is brought to him. The consequences of this is far reaching. The very balance of the cycle of life is disturbed. Imagine if there were no death at all. Nothing would decompose, plants, animals, humans, any organic material that relies on a finality would hang in an animated suspension. Those that were killed, don't die. Those that should die, can't. When the realization that something has to be done, a proclamation is made for all eligible females to travel to Death's castle keep. Adventures, captures, escapes ensue. With a bit of magic added in, this is truly a compelling story. The suspense to see which of the characters will be the bride keeps you turning pages. Unlikely heroes arise to take action with a twist when the damsel saves the knight instead of vice versa. Not really martyrdom, but self- sacrifice none-the-less is one of the themes that weaves throughout the story. Willingly being in service to those you love is another thread as each character finds the strength within them to take this journey. A remarkable story! As this first installment ends the adventure gets further complicated by Death's confession and a heroine becomes his champion. I don’t often read fantasy books, but this one had such a promising premise that I had to pick it up. And I really wasn’t disappointed. This was a lovely first part to a trilogy which promises to have an epic span. We are introduced to a large group of characters, but, unlike other fantasy books, it is not difficult to keep them straight. They are written so vividly and introduced so carefully, that it is easy to cement them in our minds without problem. Percy, short for Persephone, is the prota I don’t often read fantasy books, but this one had such a promising premise that I had to pick it up. And I really wasn’t disappointed. This was a lovely first part to a trilogy which promises to have an epic span. We are introduced to a large group of characters, but, unlike other fantasy books, it is not difficult to keep them straight. They are written so vividly and introduced so carefully, that it is easy to cement them in our minds without problem. Percy, short for Persephone, is the protagonist, a “plain” young woman who immediately catches the reader’s attention by her strong personality. Definitely a good character to follow around for three books. The story itself is pretty quick paced, with only one or two moments where the pace dragged just a bit. There are a few storylines that seem like they can never converge but which the author does a careful job of joining by the end of the book, bringing most of the characters together and setting up the next book without leaving us without some kind of closure. This, I think, is a good move on her part. Even if you don’t necessarily read fantasy books, I do recommend you give this one a chance. It is a fun story that does not disappoint. Now, at the start, for most of the first 17% of this book I wanted to give up on the read. It is slow in starting, it drags on a bit and the story line in total -- even though I adore fantasy -- did not appeal to me. However. Once the self sacrifice part of the story kicks in, I got to be more interested and even though I still cannot say that the story as such appeal to me, I can say that the writing is amazing. I am serious. This is a sty I received a copy of this book from Netgalley for review. I am serious. This is a style that takes some getting used to. Once you are, you find yourself admiring the way the world building is done, the way the characters find their own voice and interspersed between all of this is the fact that the author has a truly unique writing style that in and of itself kept me reading. I am unsure as to whom I should recommend it to. The story line is fantasy. Since it did not really grip me but the writing did, I think I will recommend this to literary fiction fans. The writing alone is really worth it. The language in this novel is worth the read alone. I did find the profusion of names a little challenging (especially when characters you don't ever see again are introduced at length before being dropped--the opening scenes at the Silver Court nearly killed me before I managed to latch on to who I needed to pay attention to). But this is a complex and well-developed story, an incredible world and a fascinating and well-considered premise. I would have liked to develop slightly more emotional attachment to the focal characters, but that may just be my reading of it. This book is about an alternative Renaissance style world in Europe. Death comes to claim his bride and stops everyone from dying until she is found. While that might seem very nice on the surface the terminally ill and mortally wounded are suffering, just because you can’t die doesn’t mean you still don’t feel pain. Overall I thought this to be an interesting storyline however I did feel like parts of the book dragged on and there was a little too much explanation taking me out of the story. Th This book is about an alternative Renaissance style world in Europe. Death comes to claim his bride and stops everyone from dying until she is found. While that might seem very nice on the surface the terminally ill and mortally wounded are suffering, just because you can’t die doesn’t mean you still don’t feel pain. Overall I thought this to be an interesting storyline however I did feel like parts of the book dragged on and there was a little too much explanation taking me out of the story. The ending left me at a disadvantage because it seems like there should be more to the story. My recommendation is wait until the sequel comes out or this story might leave you a little frustrated at the end. Note: I won the ARC book through the LibraryThing Giveaway. I DNFed this book. I have tried immensely to get into it. I thought the summary was absorbing, interesting, but I could not immersed into it. It has taken me this long to provide feedback on the book simply because I have forced myself to read it since I requested this book, and it has become a chore, and I have no desire to finish it. That is not to say that this is a bad book. The writing is beautiful, and to me, it evokes Walter Scott's Ivanhoe. However beautiful the writing was, the plot itse I DNFed this book. I have tried immensely to get into it. I thought the summary was absorbing, interesting, but I could not immersed into it. It has taken me this long to provide feedback on the book simply because I have forced myself to read it since I requested this book, and it has become a chore, and I have no desire to finish it. That is not to say that this is a bad book. The writing is beautiful, and to me, it evokes Walter Scott's Ivanhoe. However beautiful the writing was, the plot itself failed to draw my attention. Although not what I was expecting, Cobweb Bride was a lovely story with the feel of an old fashioned classic. While this was not a fast paced book, it was entertaining enough to hold my attention and creative enough to keep me curious about the ending. The first third of the book was not an easy read, however, the author then settles into a comfortable cadence and it was much easier to move through. If when starting this book you become discouraged by the thickness of the dialog, just have patie Although not what I was expecting, Cobweb Bride was a lovely story with the feel of an old fashioned classic. While this was not a fast paced book, it was entertaining enough to hold my attention and creative enough to keep me curious about the ending. The first third of the book was not an easy read, however, the author then settles into a comfortable cadence and it was much easier to move through. If when starting this book you become discouraged by the thickness of the dialog, just have patience, it will get better and it is a story worth reading. I thoroughly enjoyed this concept. What would happen if Death suddenly stopped? It is very thought provoking in a way I hadn't expected. Our society fears death and despises it, yet the moment it stops we long for it. "Since the dawn of existence, you mortals have feared dying, feared the unknown and the pain of it, and yet, pain is part of life, not death. And I-I am the first moment after pain ceases. . . It is life that fights and struggles and rages; life, that tears at you in its last agonizing throes to hold on. . . Whereas I, I come softly when it is all done. Pain and death are an ordered sequence, not a parallel pair. So easy to confuse the correlations not realizing that one does not bring the other." I love the way the author moves the transformation of death as a fearsome, terrible thing into something beautiful, necessary, and desired. On top of that, she weaves in several complicated story lines into one fluid piece. While sometimes slow, this story brings a lot of heart and wisdom. In the beginning of the book, the author is almost over flowery in her world building descriptions. It was a bit distracting and hard to visualize. Too much information for the imagination to kick in. "Flakes of white glimmered through the frost - blurred glass of the myriad windows of the Winter Palace of Lethe. In moments the snowflakes turned into armies. They piled and compounded, stretched and distended into geometric symmetry. Folding into garlands of impossible gauze veils, they appeared at last to be the faint and vaporous spinnings of a sky-sized ice spider casting its web upon the world." I will sound like a broken record, but after the first third of the book, this does get better and she seems to relax some in her descriptions and becomes easier to digest. The author eventually reaches the ultimate goal in world building: to let the reader emerse themselves into a world of their own creation based on the implied descriptions of the author. Just enough information to build the world while still allowing the reader's imagination to help it flourish and become real. "At last they passed the farthest outlying buildings, and the thoroughfare continued onward past empty fields on both sides, and occasional shrubbery. The sun rose, pale and veiled against the winder white sky, and just ahead of them was the dark shape of the looming Northern Forest. From the distance it looked like a streak of unresolved shadow against the northern horizon, but soon enough, they knew, it would become great trees, predominately evergreen pine and fir. And then it would surround them." I enjoyed every single character in this book and there were many. Each had their own distinctive purpose. I liked the way the author introduced a hint of budding romantic relationships but did not let the characters become distracted by romance when they had such dire tasks ahead of them. The idea of future romance was subtly implied but was not a focus of the book. There were many other relationship dynamics that were being built, destroyed and changed throughout the book and although a true romance was not found, it was not missed. Death himself was given life and made for a striking character when present. "He began as grey smoke. Then, darkness deeper than soot. his form solidified into a man, gaunt and tall, clad in black velvet like a grim Spaniard. He wore no cape, but somehow his face was hooded, as though a veil rippled between him and anyone who might look." Percy, one of the main female characters, was full of growth as she moved her way through the story. Finding her beginnings as a least favorite peasant daughter, who many (including herself) felt to be dull and useless, she evolved into a role of leader and caretaker for a group of wayward Cobweb Brides. I enjoyed the way the author had the reader's perception of the character change with her. We learn as she does her true worth. The young Infanta, Claere, was another strong character and even as her own situation and self changed, so did her relationship with the young man she is traveling with. Their relationship starts out in the worst of ways but transforms into something more as they are bound together in ways neither one of them could have expected. Again, this relationship is not based on romance in any fashion, but a general closeness and a need found only in trying to survive a long journey with someone who had inflicted irreparable change in their lives. Their story was was so complicated and interwoven with pain and tragedy that the book could have survived on their story alone. There were many, many well-developed characters in this book and their voices were all so very distinct that it was not hard to distinguish between them once the book was in full swing. "Finally, the fading old creature who laid in the bed - ethereal as a desiccated fairy, sunken in layers of soft winter mahogany fleece and cream silk - turned her clouded gaze in the direction of the presence"
Completely entranced by the Cobweb Bride trilogy. A compelling and excellently-written slow spiral of a story that begins with Death putting a stop to death until his Cobweb Bride comes to him, and then trickles through folk tales and wars and the best and worst of people glimmering in fragments to the surface as the world slowly crumbles into disrepair and the Cobweb Brides struggle through bitter winter, searching for the keep of their husband, Death. It make me think of Charlie Holmberg - not Completely entranced by the Cobweb Bride trilogy. A compelling and excellently-written slow spiral of a story that begins with Death putting a stop to death until his Cobweb Bride comes to him, and then trickles through folk tales and wars and the best and worst of people glimmering in fragments to the surface as the world slowly crumbles into disrepair and the Cobweb Brides struggle through bitter winter, searching for the keep of their husband, Death. Can I have book 2 now? This was emotional, amazing, thought-provoking. Man has always feared and hated death - but what if Death stops? What happens then? This was slightly macabre and absolutely stunning. Different, interesting, and a fairly quick read. I am very interested to see where the next book takes us, and what happens to the Princess. A really interesting idea about how the world would go on if people were no longer able to die.